On 1st September 2017 Jane Adrian, from Lochinver, contacted the Field Club to say she had found a dying female Blackbird near Lochinver Primary School which sadly had died very shortly after being found. The unfortunate bird did however have a metal ring on its left leg, the details of which Jane had noted. It simply said ‘NHM London CL13387’. Jane was aware that this ring meant the bird had, at some time in the past, been caught and ringed by someone as yet unknown! 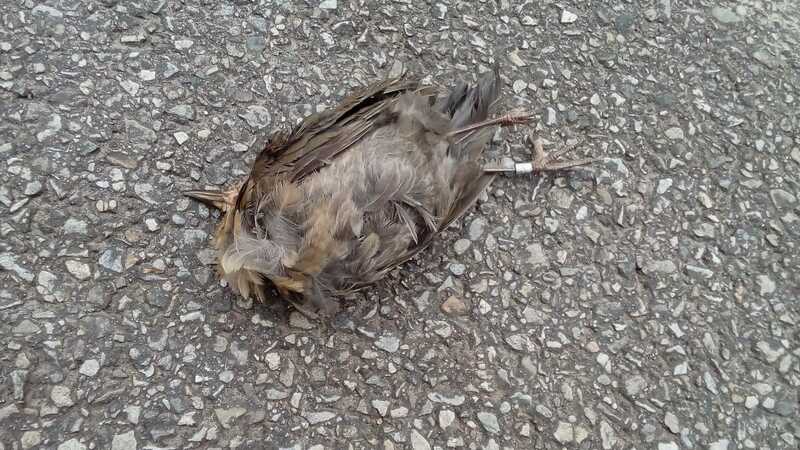 Jane also knew to report this find to the British Trust for Ornithology (BTO) via their website. Reporting her find would allow the ringer to know about the bird’s demise but also it would give Jane the history of this Blackbird. OS Map reference NC0921 accuracy 0, co-ordinates 58deg 7min N -5deg -14min W accuracy 0. OS Map reference NC0922 accuracy 0, co-ordinates 58deg 8min N -5deg -14min W accuracy 0. So from just a few minutes of Jane’s time we know that this female Blackbird was ringed, near the school, by Tony Mainwood who has done a few ringing sessions with Andy Summers at the primary school over the years; that it was ringed in 2016 when it was at least two years old; that it was found more than one and a half years after it had been ringed and it had stayed very local. 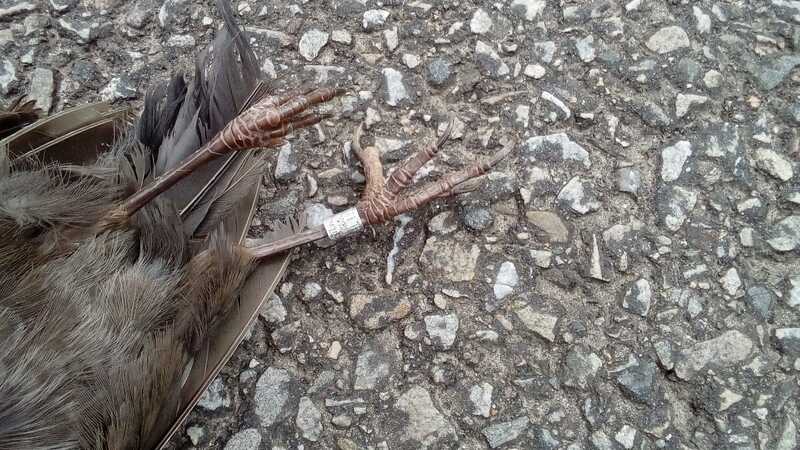 It might seem a bit gruesome but, next time you find a dead bird have a look to see if there is a ring on its leg and do what Jane did – you could add to the amazing facts above! Many thanks to Jane for getting in touch and for her photos.